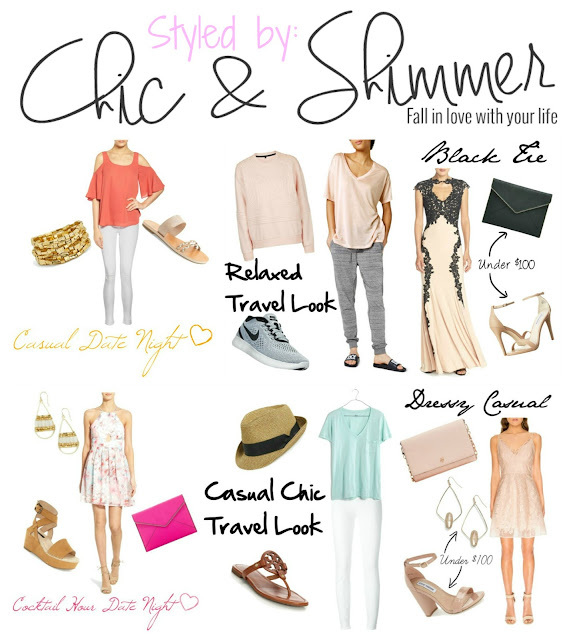 Over the past month, I've put together several different looks to help inspire your outfits this summer. 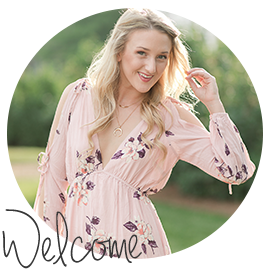 Whether you're jetting off on an airplane, hitting cocktail hour with your sweetie or celebrating a wedding - I have you covered! Check out the looks below! Ahh date night! One of my favorites. This can come in all shapes in sizes though! Going on a date doesn't always entail a five star dinner - nor should it! A girls gotta relax a little, ya know?? Okay so the age old question - "what will I wear?!" Girl, I've got you! Not to stress. Okay so if you all are just headed out to a casual dinner, don't over do it. Now is not the time to dress to the nine's - it can be intimidating to a guy! Of course, you should look your own fabulous. Dressing fabulously doesn't always include your LBD and sequins though! Jeans and a fabulous top are just as sweet. (Not to mention much more comfortable!!). If you all are headed out somewhere more upscale or trendy, you can totally break out a more dressed up look. Where's that darling little dress you've been waiting for the perfect occasion to wear? Here's your occasion, doll. Strut it! Pair it with a simple little clutch and wedges then you're good to go! He's sure to get all googly-eyed over you! 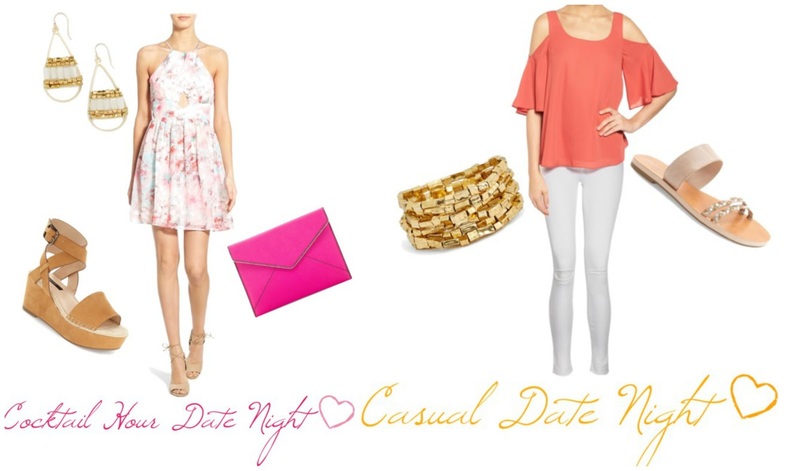 Read more about date night looks by clicking here! Ahh, traveling. It can be stressful! That's why the "what to wear" questions here is something that should never be overlooked. That's what I'm here for! Allow me to help in offering some tips. For me personally, I'm really not a huge sweatpants kinda gal. Even when I head to bed, you'll rarely catch me in a t-shirt and shorts. Now, I'm aware that I'm the exception in this! It's just what keeps me happy but I can totally understand that comfort is key. That's why I styled a couple of different options above. If you're like me and like to arrive in decent condition (hello sir - where's the closest happy hour?? 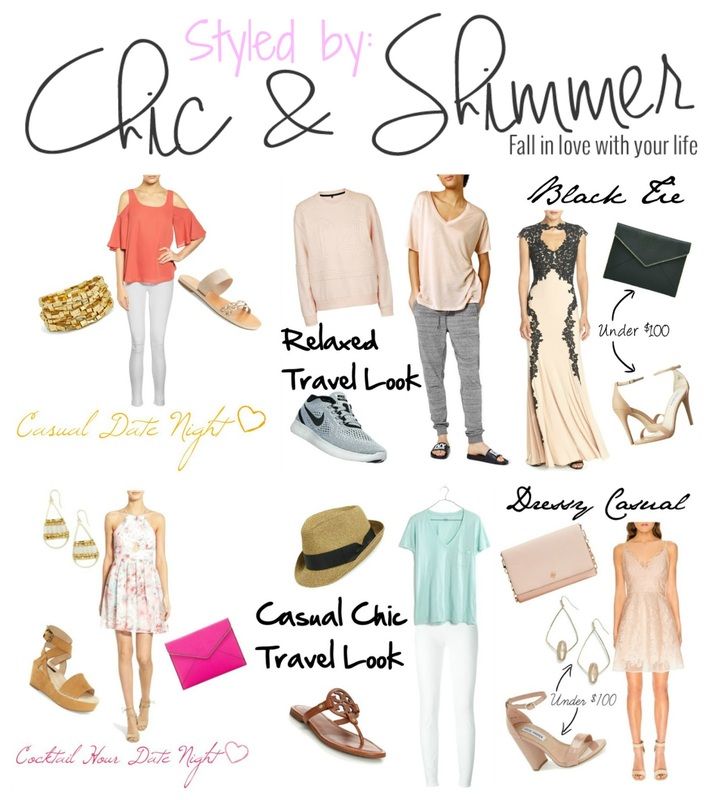 ), take a gander at the chic travel look above. White denim and a loose tee are such a win in my book. Throw on some comfy flip flops and you're ready to jet off! The Tory Burch flip flops I linked are absolutely my favorite during the summer. I wear these several times a week - definitely worth the price tag! 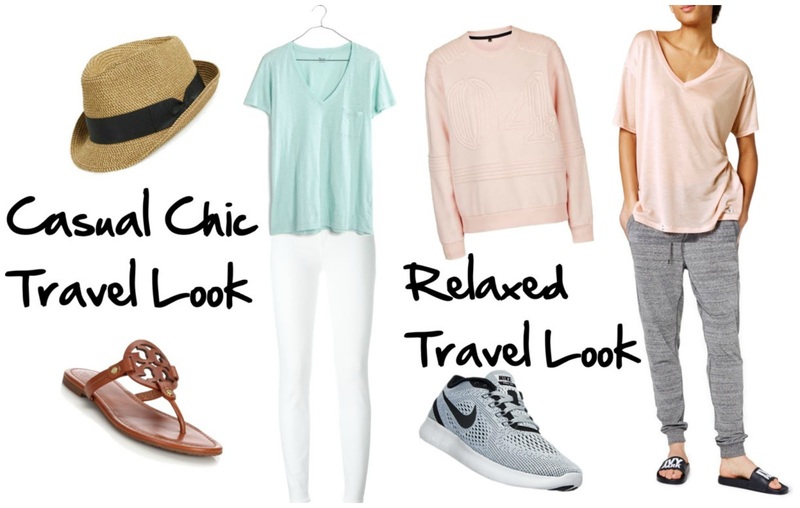 Read more about travel looks by clicking here! It is indeed wedding season for those of you who have been living under your winter rock! It's here and it's in full swing (time to whip out the swing dress, ladies! ;). Weddings come in all shapes and sizes so I've put together a few examples to choose from! Break out the dancing shoes and gather your thoughts for a toast because you are wedding ready with these looks. Cheers to the happy couple! 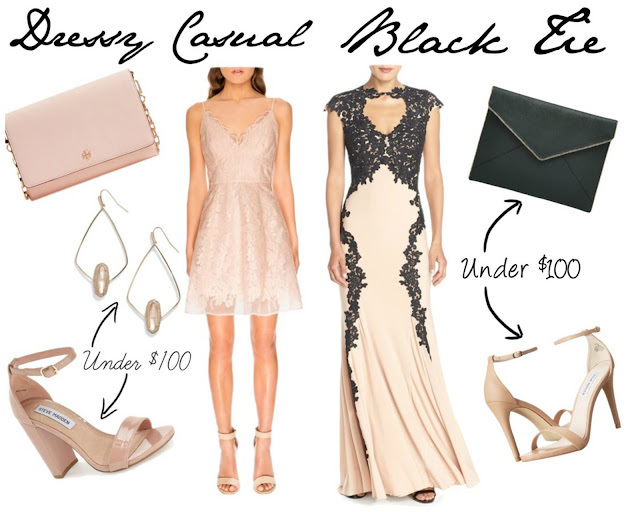 Read more about wedding guest looks by clicking here! I am sooo happy I came across this post! I love your style and the looks you came up with! It's the cutest. When I have trouble deciding what to wear, I'm definitely referring back to this! Thank you for posting! I'm happy to help! Glad to hear you enjoyed the post.